This large square photo book can be filled with a myriad of photographs, from cozy family snaps to warm holiday memories! 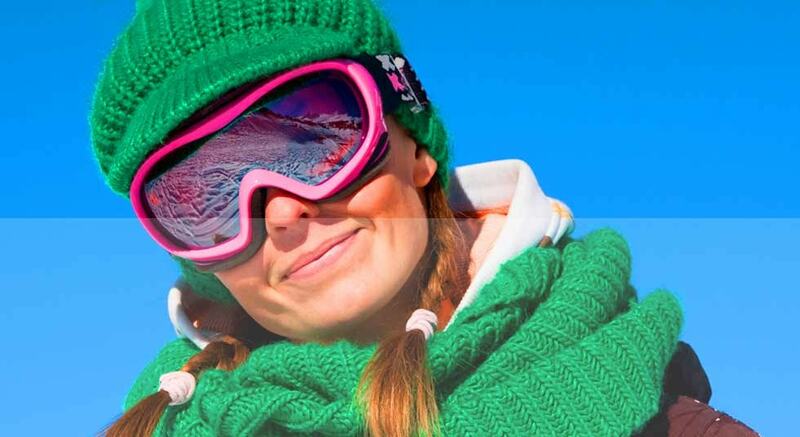 Glossy pages give your photos greater contrast and depth of colour. They're luxurious, smooth and shiny, and provide images with high colour density, optimal colour graduation and perfect image sharpness. Using our special binding process your photos can now be printed beautifully across the center of your book without interruption. 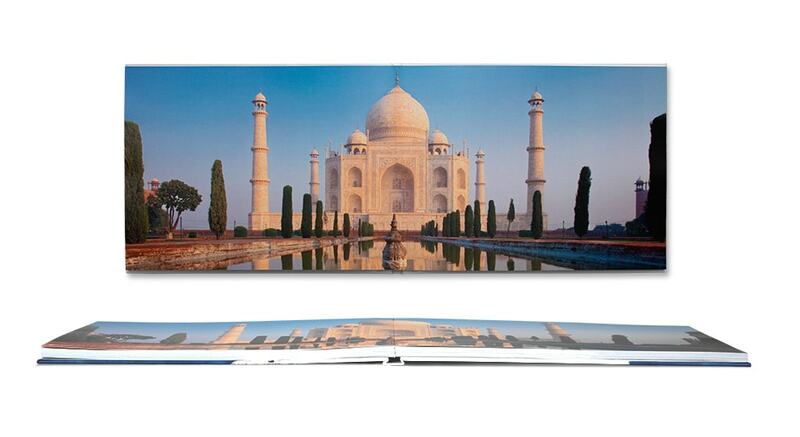 Printed on the best quality photo paper for a professional finish. 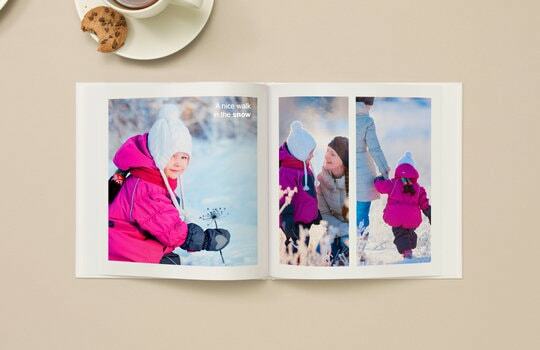 Make your photo book extra personal and unique by placing a meaningful photo on the front and rear cover. With full control in the Creator Tool, you can really make your book cover stand out! You could also dress your photo book in a luxurious leather cover. Available in brown or black, this option is not only stylish, it’s durable. Linen cover is standard. If you don’t opt for anything else, your book cover will be made of high-quality linen and you’ll have 7 attractive colours to choose from. 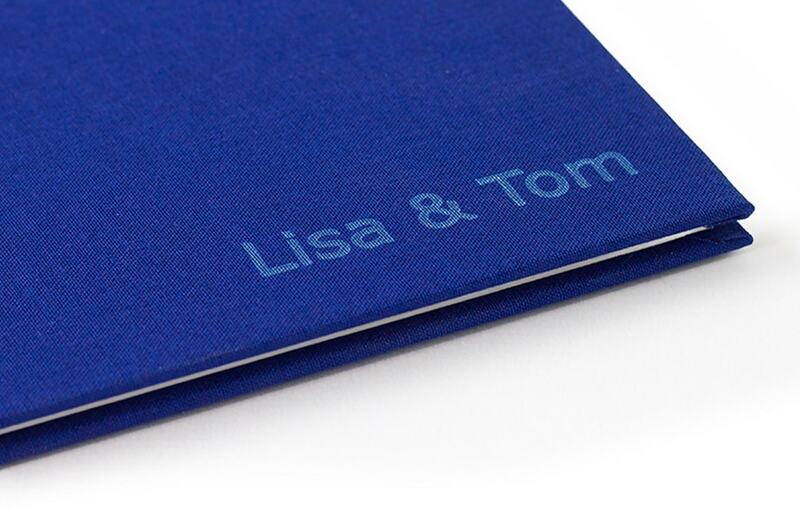 If you opt for a linen or leather cover, you can also have your own title laser-printed on the front, for a more personal touch. The title will appear at the bottom right corner in the font 'Verdana'.